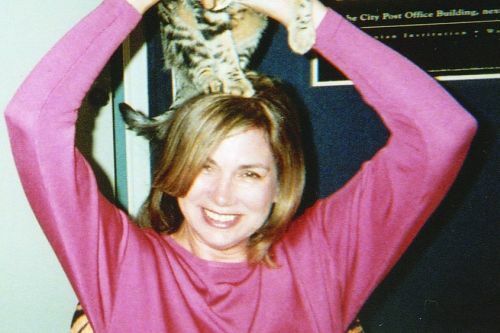 Elaine Viets is an American author of cozy mystery novels. She writes the Dead-End Job and Josie Marcus, Mystery Shopper series. Elaine is also a journalist in her hometown of St. Louis, Missouri, where she was a regular columnist for the St. Louis Post-Dispatch for 25 years. After moving to Washington D.C. and writing a syndicated columnist, she switched from the newspaper business to become a novelist with her Francesca Vierling series. Elaine has been married for over thirty years to author/actor Don Crinklaw and is a member of the Mystery Writers of America and Sisters in Crime. Notes: The story Killer Blonde also appears in Drop-Dead Blonde. Drop-Dead Blonde also contains stories by Victoria Laurie, Nancy Martin and Denise Swanson. The Mystery Megapack: 25 Modern and Classic Mystery Stories also contains stories by Nora Charles, Toni L.P. Kelner, C. Ellett Logan, Johnston McCulley, Darrell Schweitzer, Marcia Talley and Art Taylor. Elaine Viets Synopsis: Backstab by Elaine Viets is the first novel in her Francesca Vierling series. The series covers the newspaper business and someone who is killing off the reads of the St. Louis City Gazette newspaper, and the newspaper can’t stand to lose the circulation. Francesca Vierling is a columnist for the paper and is losing her readership, and so she is taking these killings very personally. She goes on a search for a the killer on the streets of St. Louis, even visiting the Miss Gender Bender Pageant.